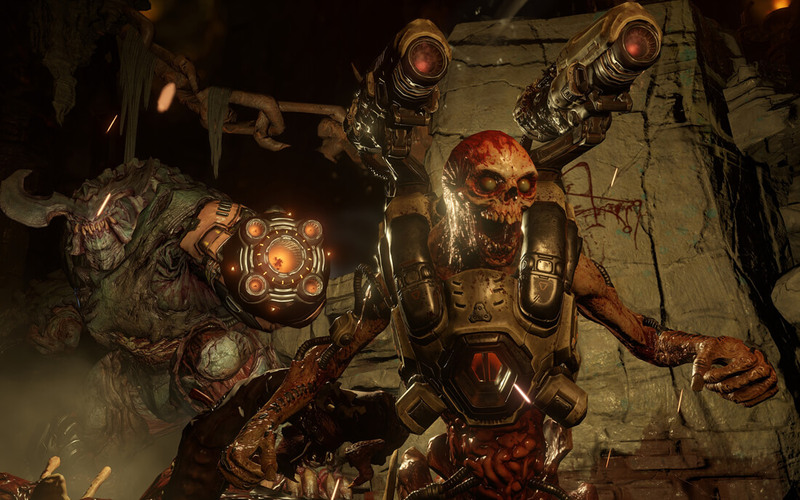 With Doom’s first closed multiplayer beta now in the books, Bethesda and id Software have turned their attention to the first open beta which gets under way later this month. The open beta, available to PlayStation 4, Xbox One and PC gamers, kicks off at 12:00 am EDT on April 15 and runs through 11:59 pm EDT on April 17. It will offer the same content as the closed beta (two game modes – Warpath and Team Deathmatch – and two maps – Heatwave and Infernal). Bethesda Associate Content Manager Anne Lewis also revealed on Wednesday that support for Doom won’t end once the game has launched. Over the coming months, id Software plans to release free content updates across SnapMap and multiplayer modes. For those not up to speed, SnapMap allows gamers to create custom maps and new game modes that can be shared with and played by others. Upcoming content for SnapMap will consist of map modules, props and objects, AI enhancements, editing tool enhancements and additional features and functionality. Multiplayer will also receive updates in the form of new game modes, we’re told. Again, both SnapMap and multiplayer updates will be free of charge. Doom lands on the PlayStation 4, Xbox One and PC on May 13 starting at $59.99.